Once, long, loong, loooooong ago in the days of Late Jurassic period in the world of Pterodactylus, famous flying dinosaur, mother Earth was pretty busy with the works of creating continents, large mountains, seas and oceans like we know today. At the time the place we know as Europe was mostly covered by large sea by the name of Paratethys. About hundred millions of years later, dramatic tectonic changes started producing large mountain formations today well known as Alps and Carpathians, which made Paratethys to loose connection with Mediterranean to the south and to form separate large inland sea in today's central Europe. Millions of years later, there are two remnant seas that still exist with names of Black and Caspian Seas. But there was one more in nowadays Pannonain basin, that lasted almost 9 millions years and finally disappeared in the middle of the Pleistocene Epoch, about 600,000 years ago with remnant lakes here and there especially in Hungary today. During its long life, Pannonian Sea followed Earth's tectonic events and once was covering almost entire territory of nowadays Serbia. Even the place when I am located right now, was once pretty watery and wet. When I was a kid, I played a lot with digging our front yard and from time to time got lucky with couple of snail shells that sometimes forced me to think about their origin. There were small and white and even though I doubt they are that old, they were very much familiar to the ones you can find in nowadays salty seas. Nothing like you can see today in our neighborhood. Anyway, in the time of Pannonian Sea and its old age, more or less around million of years ago, humans were pretty timid species. That was the time of Homo Heidelbergensis, extinct species, who was most likely ancestor of both modern humans and neanderthals, and lived more or less in the time when last drop of Pannonian Seas evaporated or moved away by mighty Danube leaving large planes in modern central Europe. But, the real boss of the time was not the man at all, and instead, after the last dinosaur disappeared for good, it was large mammoth who adapted very well to the colder climate compared to their south origins and evolutionary speaking started to grow fur for protection. I am pretty sure that all Homo Heidelbergensis and his grand-grand-grand fathers were terrified each time when herd of mammoths were passing by their habitat and they were probably hiding every time for as long as the last sound of their giant feet faded away for good. Mammoths were more than 5 meters long, 4 meters high and about 10 tons weight and you can only imagine how i.e. set of 50 or more members of the big herd look and hear like when passing by near to your home. Well.. Cave to be exact, which was the most secure home of the time, but still, it must have been very interesting, to say the least. 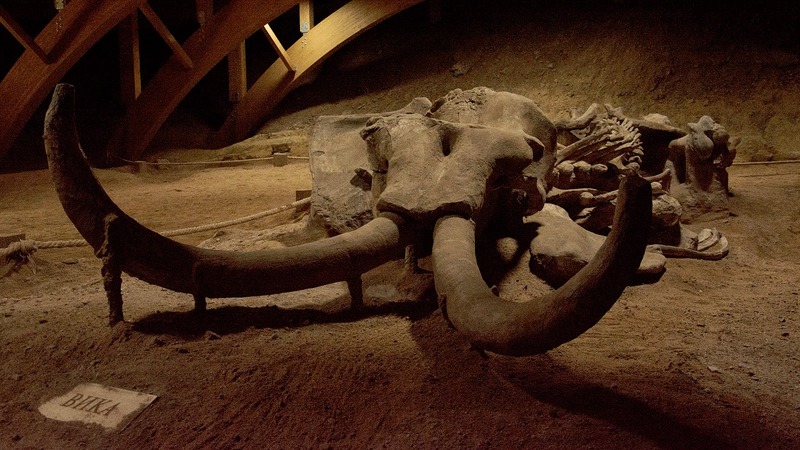 In central Serbia, just next to the old Roman city of Viminacium, in the prehistoric mouth of the river Morava, which was ending its flow into Pannonian Sea, mammoths seemed to find a good place to die. Just like elephants do today they had their graveyards and one of them seemed to be right there and archaeologists found numerous skeletons and fossils of mammoths from different periods in history. 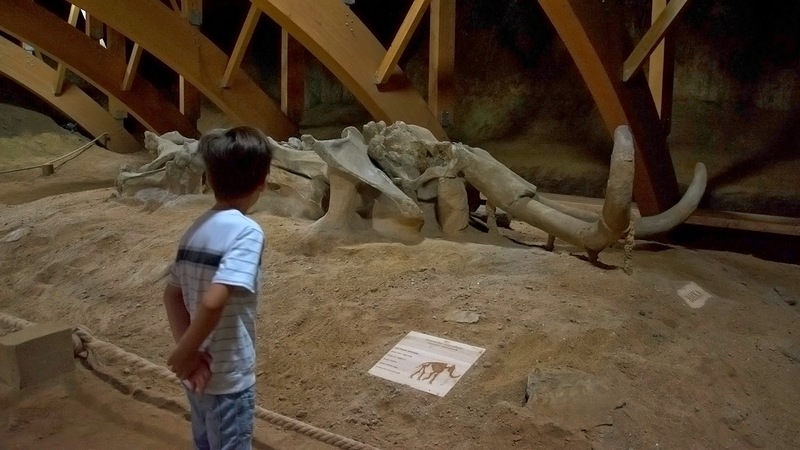 Among them, almost fully preserved mammoth "Vika" displayed in the Viminacium we visited last weekend. Even after millions years after her death, she still leaves deep impression to all her human visitors. Well, the ultimate fatal doomsday, similar to the dinosaurs', didn't avoid this species as well. Eventually they got extinct due to many reasons. Humans helped a lot by hunting them out and using their meet, skin, ivory and fur. Pannonian Sea also vanished and now perhaps waiting some severe climate change to get back and until then it stays in legends and Djordje Balasević song. Without natural borders and animal bosses, latest half a million years gave further evolution of humans and they lived more or less peacefully in prehistoric Serbian land in their tribal societies. More migrations happened in the meantime and the latest one brought another wave of humans from Africa, hundreds of thousand years ago which are now considered to be origin of all population of humans on the planet. Modern civilization in this neighborhood came only two thousand years ago with Roman Empire during the reign of first emperor Augustus who concurred this area and established roman province called Moesia after Thraco-Dacian peoples who lived there before. It happened around the year of 6 AD and eight decades later it was divided into two provinces giving birth of Moesia Superior, the western part of original province where Romans built several cities and army camps on the places significant for cultural and economic exchange and also where tactical deployment of their legions was the most effective for defense of Roman borders and also for further conquest campaigns. Numerous famous emperors and political figures of the Roman history were born in Moesia Superior, including Constantine the Great who was probably one of the most important men in the Roman Empire after the old republic in BC. I tried to describe his life from the point of view of my (and his) birth place in post Constantine & Naissus last year during the celebration of Milan's Edict. While Naissus was one of the most important city and army installation for the southern Moesia Superior (Roman Dardania), the most important one on the north was the city of Viminacium. Located near to the Danube it was natural point for deployment of one of the most effective legion, 'Legio Septima Claudia Pia Fidelis' that was situated here during the reign of Hadrian in AD 125. Viminacium grew into large city of the time with more than 40.000 inhabitants and with all the benefits of one large Roman city and infrastructure of water aqueducts, modern industry and entertainment with wooden amphitheater big enough to host more than 10.000 people. In the most flourished period of the time, in the third century of AD, Viminacium earned the status of a Roman colony, and the right to coin its own money. The most important family of rulers born in this Roman land and lived in Viminacium, was emperor Trajan Decius who was previously governor of the entire Moesia. During the battle of Abritus he died along with his son Herennius with whom he co-ruled in the reign. After their death the tron briefly went to his second son Hostilian but sadly the family misfortune ended here, this time with deadly plague that killed both Hostilian and his mother. The end of the city started with Attila the Hun and his raid in fifth century and even rebuilt by Justinian I, it was finally destroyed by Avars in late sixth century. After that it started to fade and after decades and centuries it eventually got buried under the dirt and sand near to nowadays city of Kostolac and villages of Old Kostolac and Drmno. However, even after so many years from golden Roman era and contrary to the almost all other ancient archaeological sites who lies deep under modern cities, Viminacium is today an open plane and simply because of this fact the only obstacle for further excavation is only financial background. Other sites are not that lucky, for example excavation of old Naissus is almost impossible as all after-roman settlements in previous two millenniums are built on the same ground. Nevertheless and even with modest funding, Viminacium is today one of the most explored Roman city outside Italy. If you add all the mammoths bones found in the same area this is today one great tourist and educational site. Archaeological excavation and scientific research started with more than modest funding - Mihailo Valtrović, one of Serbian scientists, first professor of archaeology and custodian of the National Museum in Belgrade started digging Viminacium walls in late nineteenth century with help of 12 prisoners assigned by Serbian government in lack of qualified workers and with low amount of money reserved for archaeology. 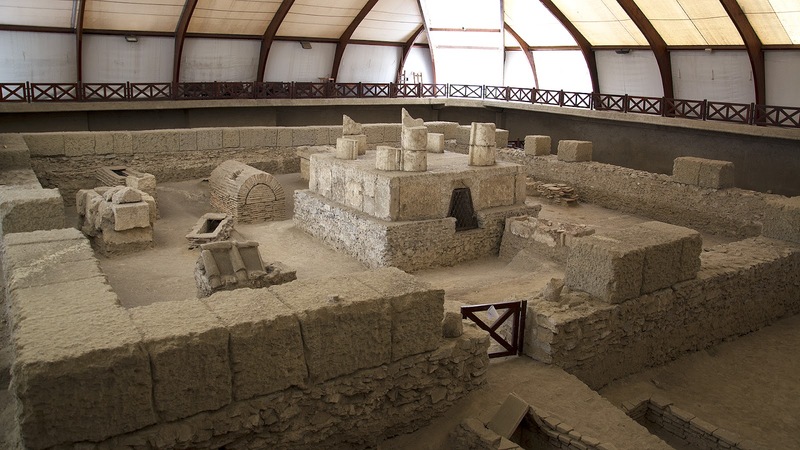 During the twentieth century, excavation was continued on several occasions and finally in the dawn of 21st one, Viminacium received the proper scientific and archaeological attention by Serbian government and dedicated scientists. 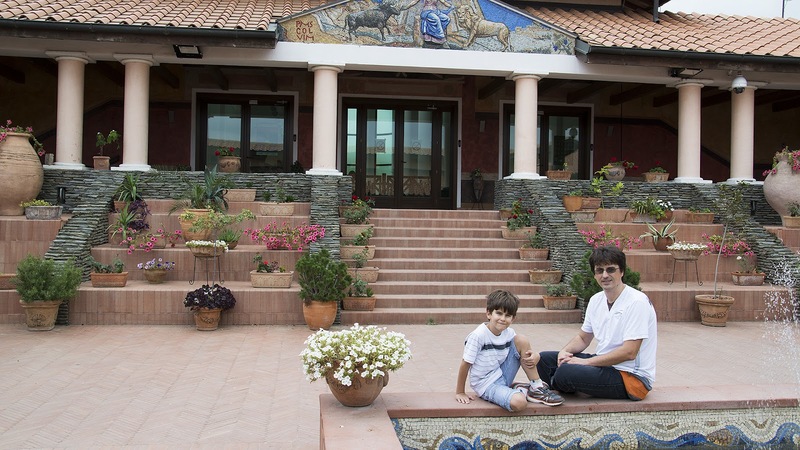 The crown jewel of the site is no doubt 'Domus scientiarum Viminacium', research and tourist center built as a Roman villa with several atriums, rooms and laboratories for scientists, hostel for visitors and beautiful museum dedicated to Viminacium, Moesia Superior and of course ever since recently, mammoths and their prehistoric life. Especially interesting is museum's exhibition of 'Itinerarium Romanum Serbiae', dedicated to 17 Roman emperors who were born within the current borders of Serbia, the second country after Italy itself. In latest years, especially after last year celebration of 1700 years after Milan's Edict, it is recognized as one of the national brands of Serbia and founded by Serbian government and Ministry of Culture.